Kotoko is ecstatic to start her nursing courses, especially with the nursing department adjacent to the medical one. More Naoki stalking. Things quickly get rough though. Kotoko doesn’t know anyone in the nursing program plus she is three years older than the other students. Oh, oh let’s not forget that Kotoko starts her nursing program by attracting attention to herself. Negative of course. She is caught day dreaming in class and is called out by her professor. Kotoko meets her nursing teammates. The golddigger Marina. Her ultimate goal is to marry a wealthy and accomplished man. Preferably a doctor – that’s why she decided to become a nurse. Shallow much. The passionate Keita. He’s enthusiastic about everything he does. He wants to become the best nurse and pushes his teamates to work as hard. His personality seem to often clash with Marina’s; he can’t stand why she decided to become a nurse. 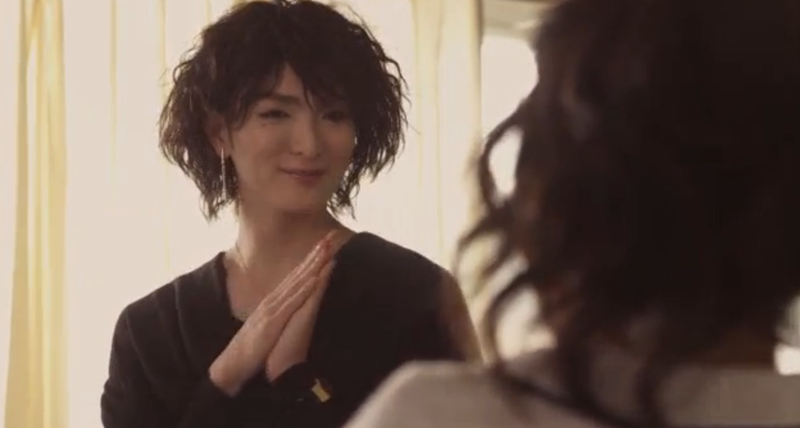 The handsome Motoki. A man who feels like a woman deep down and a fan of Naoki! Naoki and Kotoko congratulate Matsumoto at the end of her graduation ceremony. Matsumoto questions Kotoko about her acceptance to nursing school. Everyone thinks that Kotoko wants to be a nurse because of Naoki, including the latter. Kotoko is shocked, but clearly can’t deny that it’s mostly true. Kotoko is excited and proud to announce that she has been accepted into nursing school! She passed the most difficult entrance exam for nursing school. Yuko is surprised, but mostly worried for Kotoko’s patients. I am too. Yuko found her dream job in the IT industry and vows to work hard to find Mr. Perfect. That is definitely not . Matsumoto thanks Naoki for making her college years fun and wishes the best of luck to our couple. Meanwhile Satomi and Jinko are crying their eyes out at the graduation ceremony. They are saying goodbye to their friends while they are still stuck in school. They each failed a class – strict attendance requirement and turning someone’s homework by mistake. I can’t believe that even Kotoko is graduating and not them… Well she is actually not graduating but going to nursing school. It’s Kotoko’s last year as an undergraduate. Her friends Jinko and Satomi seem to have their paths set while Kotoko still doesn’t know what she wants to do. Our main character wonders if it is alright to stay at home and not get a job at all. 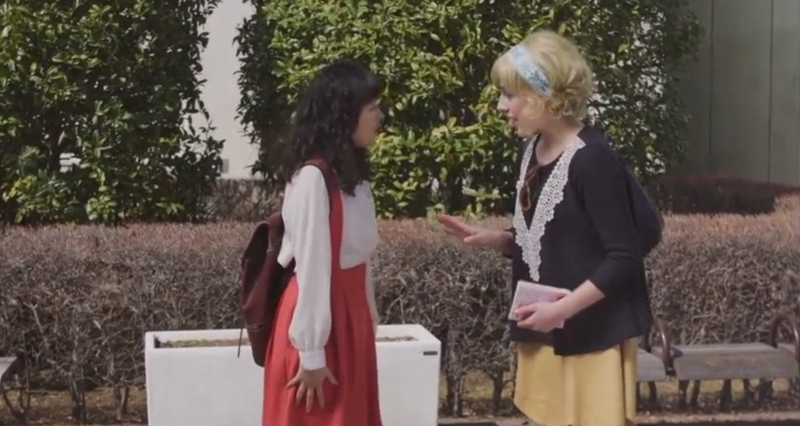 Kinosuke’s love interest, Christine, finally arrives at Tonan University! Her encounter with Kotoko is a mix and match of broken English and Japanese. Seeing that Christine is a foreigner, Kotoko immediately tells her that she doesn’t speak English. To which Chris responds in Japanese. Christine is like the foreign version of Kotoko. They are both so bubbly. 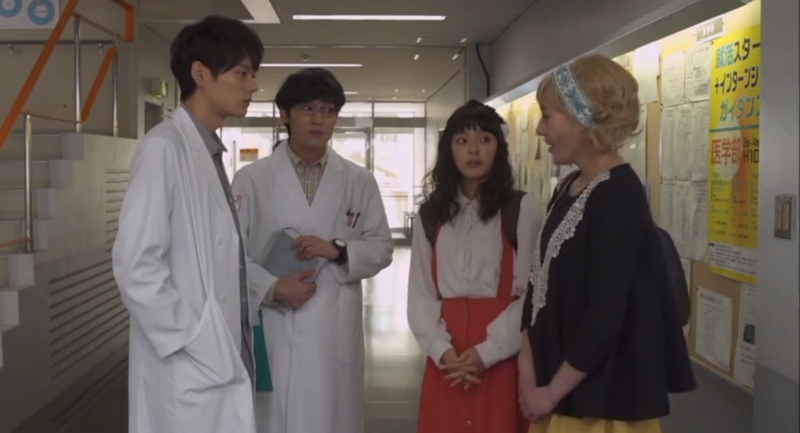 Chris and Kotoko head to Tonan Medical School to visit Naoki. They first meet Seichi – another medical student and Naoki’s rival. Kotoko is excited when she introduces herself as Naoki’s wife. Seichi is not that impressed. Is Kotoko really the one in Genius Naoki’s heart?! 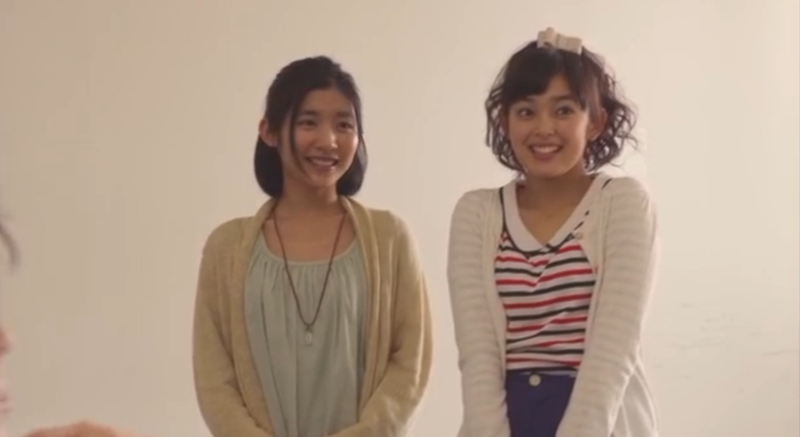 Seichi rudely looks at Kotoko from head to toe. Luckily, Chris is here to get revenge for Kotoko. When Seichi tries to hit on her, she lets him know that he is DEFINITELY not her type. She has HIGH standards. 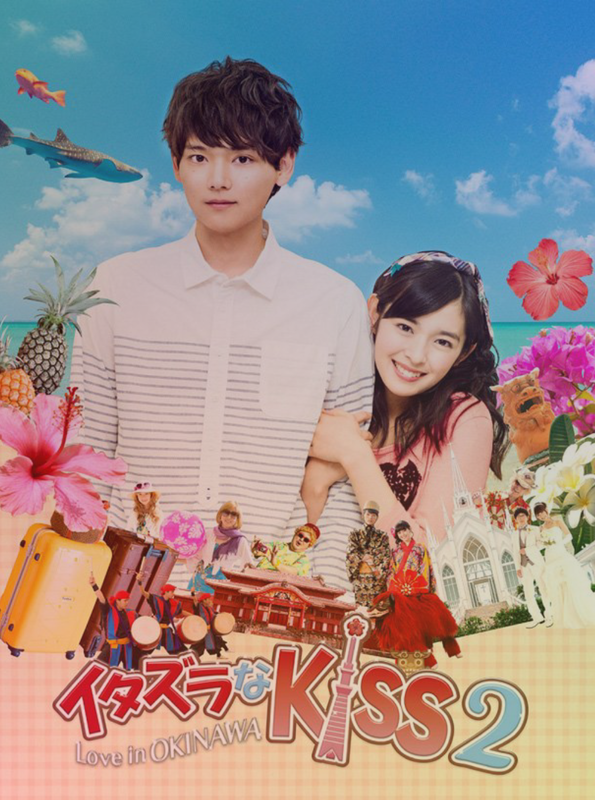 I was so excited last week when the first episode of Itazura Na Kiss 2 came out. I was as disappointed when I realized that it was exactly the same episode as the special except for the last couple of minutes. Basically when Naoki and Kotoko land in Tokyo they are picked up by Kanomori, who works at Papa Irie’s company. 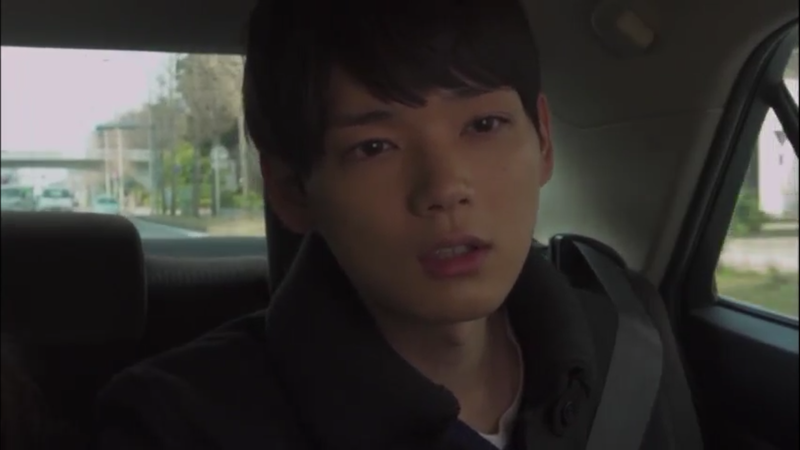 Kanomori keeps quiet throughout the ride refusing to tell them where they are heading. Naoki is worried thinking that something happened at his dad’s company. 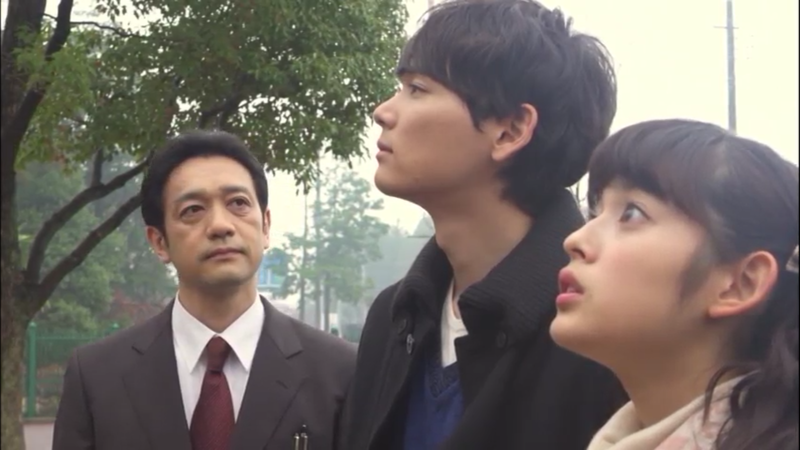 Naoki, Kotoko and Kanomori arrive in front of a house. The latter is still mysterious and urges them to go inside. As soon as the doors of the house open, our couple is warmly welcomed by the Irie family and Papa Aihara! This house is now their new home. They will all leave together again. There is more space for everyone and this house would be perfect to welcome Naoki and Kotoko’s baby! Mama Irie asks Kotoko how was the honeymoon. Naoki jumps in and asks if they enjoyed the “honeymoon” as well… Kotoko is totally confused. It’s only when she notices a picture of her and Naoki kissing on the beach at Okinawa that she realizes that the Iries and Papa Aihara were in Okinawa too. Gosh I thought she would never realize. It took her so long :-D.
Naoki, who is ready to leave for work, teases Kotoko. He was looking forward to this morning and the great dishes he was going to eat. Kotoko apologizes and promises to cook the next day. Naoki smirks; he isn’t expecting anything from her. Naoki is finally about to leave when Mama Irie stops him. What about the goodbye kiss? Mama Irie even had her camera ready. Mama Irie would have been a great papparazi. Naoki refuses to be intimate with Kotoko just for Mama Irie’s camera to snap pictures… Mama Irie ignores Naoki and adds that the couple hasn’t registered their marriage yet. Kotoko is panicked! No marriage registration means that she is still Aihara Kotoko! She urges Naoki to go to the ward and register. Mama Irie then shows a marriage registration form. Oh, and just in case they make a mistake she has several. Mama Irie is seriously the best.